Weight-loss programs are all the rage and it’s no wonder. An article published by the New York Times states that, “nearly two out of every three adults in the United States is overweight.” It’s common knowledge that being overweight or obese can lead to diabetes, heart disease, cancer, and early death. Many try to do something about it, but there is a right way and a wrong way to take the pounds off. When people decide to starve themselves into a smaller pants size, they don’t do themselves any favors. The body eats up muscle instead of fat and metabolism slows down. This “yo-yo dieting” usually leads to a brief period of taking the weight off, but as old habits get the best of us, the weight (and sometimes more) creeps back on. This can be very frustrating, but we’re here to tell you there is a better way and we can help! Based on your personal goals, we offer several weight-loss programs to help you succeed. 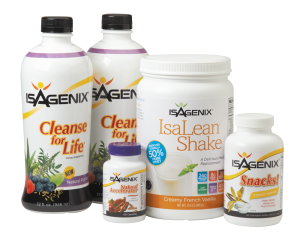 This program is not strictly a cleanse diet but rather a structured program that combines whole-food eating with supplements, nutritious supplement shakes, and light exercise. This 21-day program is perfect for those looking to lose weight, while detoxifying and purifying the body. When you’ve completed the purification program, you’ll transition to a new way of eating to feel your best based on enjoyable, healthy food. 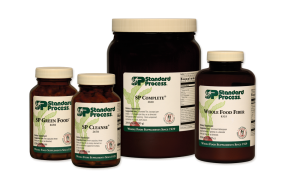 View the 21-Day Standard Process Purification Program Guide. 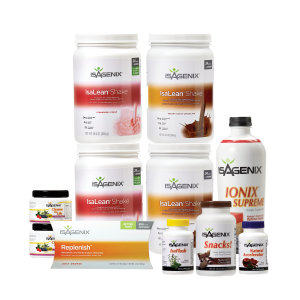 This is an option for those looking for a healthy way to accelerate weight loss to shed a few unwanted pounds. Call our office today at 703.779.7909 to determine which weight-loss program is best for you!